You are here: Home >> January 26, 2019 Historic Winter Fine Art and Antiques Auction >> Lot 167: Two (2)Society of Medalists Silver Medals, 20th Cent. Two (2) 20th Century Silver medals. 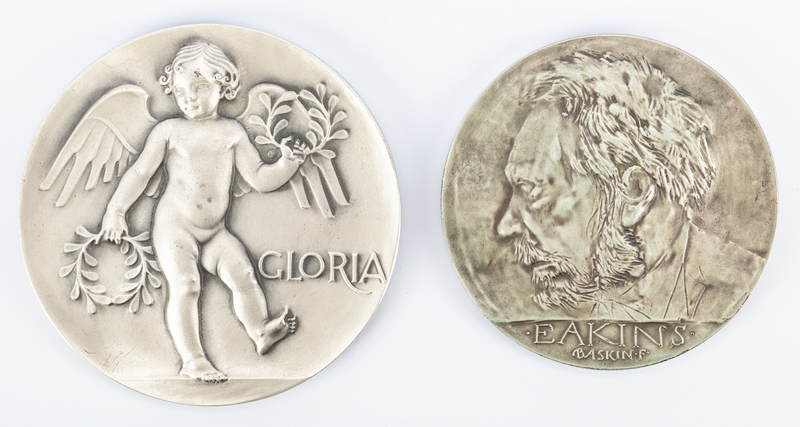 1st item: Medal designed by Carl Paul Jennewein (New York/New Jersey/Italy/Germany, 1890-1978). 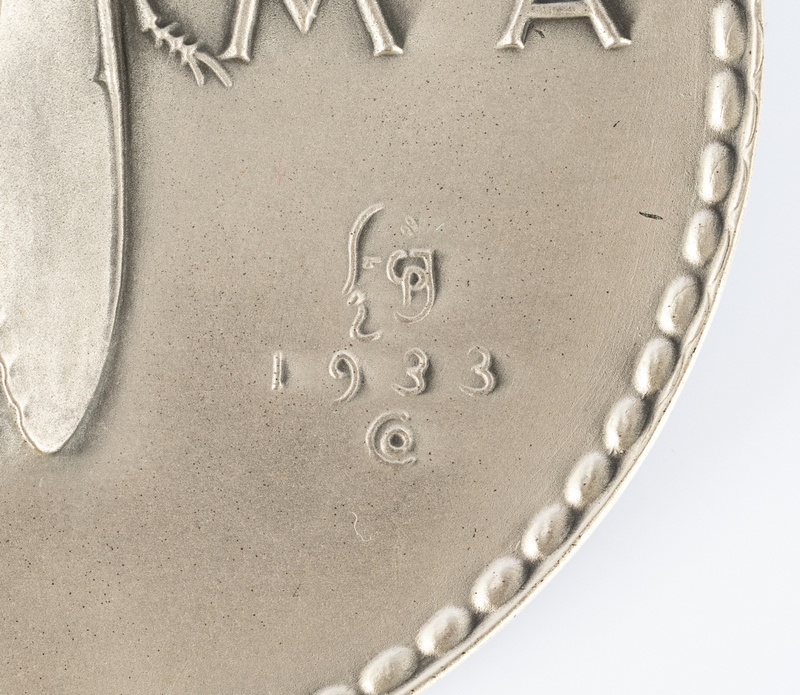 A cherub with "GLORIA", obverse, a cicada flanked by "FAMA" with logo and date "1933", reverse. Engraved along edge: "The Society of Medalists Seventh Issue, MACO-FINE SILVER- .999+, One of Limited Issue of 700". Includes Society of Medalists box. 2-3/4" dia. 6.570 oz troy. 1933. 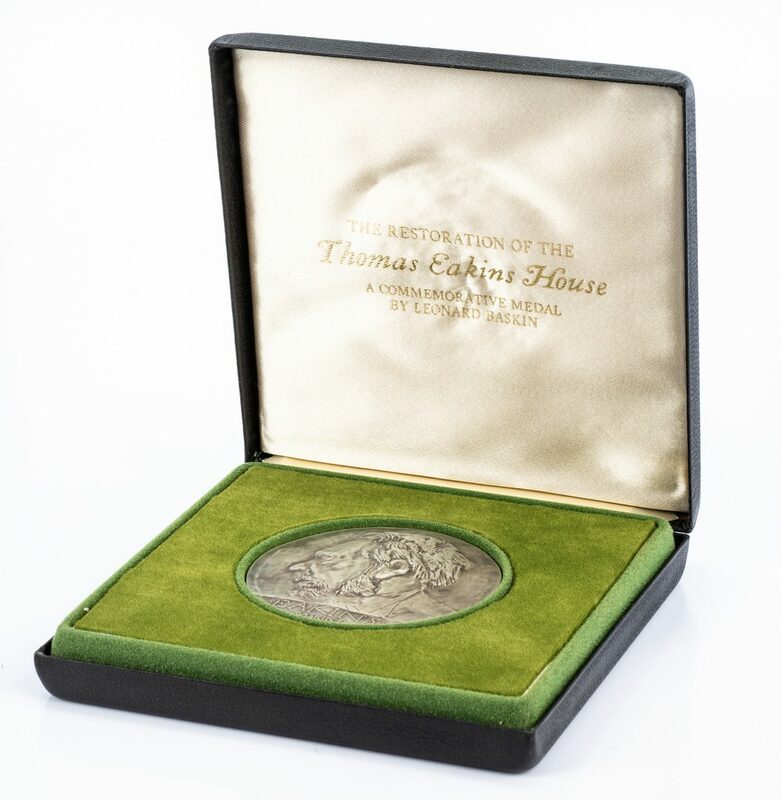 2nd item: Thomas Eakins commemorative medal designed by Leonard Baskin (Massachusetts/New York, 1922-2000). 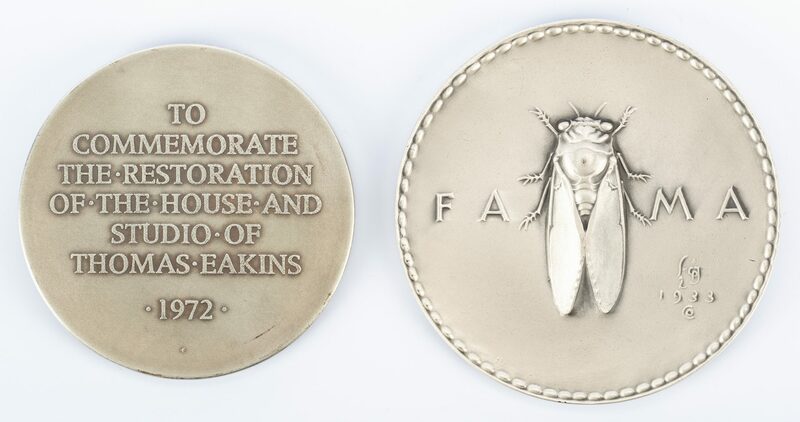 Medal featuring side bust of Eakins with Baskins signature, obverse, "To Commemorate the Restoration of the House and Studio of Thomas Eakins 1972" reverse. Marked along edge: "Sterling, copyright symbol, maker's mark, 72 [in square], 0659". Includes fitted box. 2-1/2" dia. 6.86 oz troy. 1972. Provenance: The Estates of Olen Bryant and the late Vanderbilt University art professor Thomas Brumbaugh, Clarksville, Tennessee. CONDITION: Both medals in circulated condition.